Kenneth Chomba, Co-Founder and Field Manager shares about how Tatua Kenya is building partnerships for change with other organizations in Kenya. 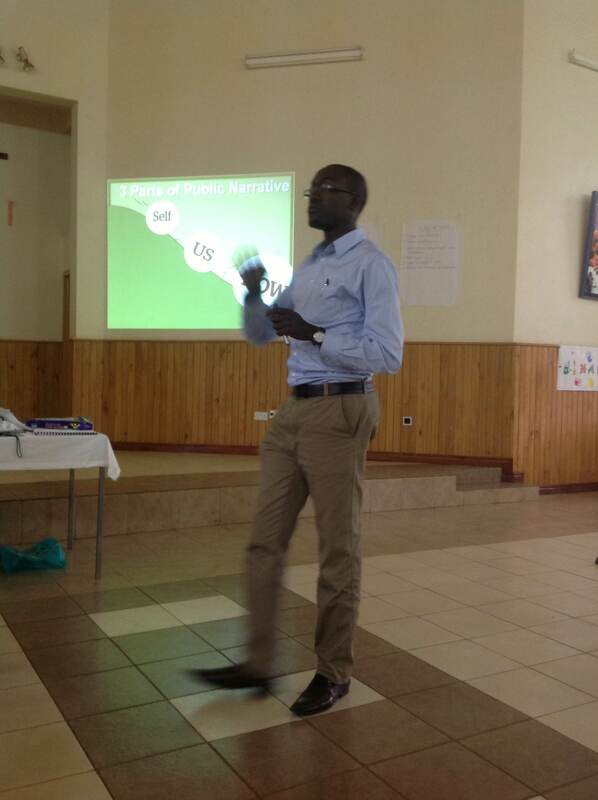 Kenneth Chomba, Tatua Kenya Field Manager, teaching at a training at Nyumbani Children’s Home. In the past week, Natalie and I had the opportunity to visit one of Hope worldwide projects based at the heart of Mukuru kwa Reuben, one of the informal settlements in the capital, Nairobi. Hope worldwide has an incredible staff that is grounded on offering services that will help prevent the spread of HIV/AIDS in the slum area. In just one visit, I realized that there activities were so coherent and easily identify to their goal. I remember saying to the team that it feels like I have known this place for too long. The project is a case of worth partnerships that have worked together to develop different programs at the centre that will help steer the community towards an HIV free generation. They have managed to offer clinical tests and management of HIV/AIDS, Counseling services, care for orphaned and vulnerable children and several tertiary courses that are taught to community members at a very minimal cost. Benson, the coordinator of the institution also brought to our attention that the land in which the centre is established was donated by the community through its local administration. 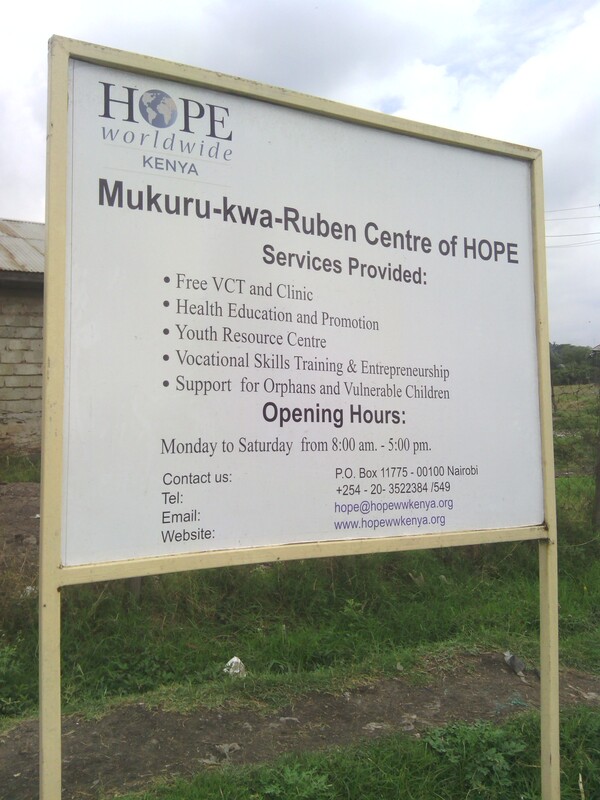 The organization has been in Mukuru for a couple of years. One question I asked the team from Hope, “why do you think the spread of HIV/AIDS exists? Is it utter ignorance from the victims or lack of information about the causes of HIV/AIDS?” Most of the answers we got touched on poverty. However, we do know that there are HIV victims coming from wealthy and informed backgrounds. It is with this realization that we started looking towards a behavioral change approach to prevention of HIV/AIDS spread. Tatua Kenya is excited on the possibilities of having a fellow jointly with Hope worldwide that would work in Mukuru on an initiative towards behavior change for prevention of HIV/AIDS spread. In the same week, Tatua Kenya hosted a public Narrative training in partnership with Children of God Relief Institute (COGRI) at their Karen Head Quarters. The training brought together COGRI alumni from Lea toto, Nyumbani Village and Nyumbani Home all part of COGRI projects. Most of the children graduating from the program are orphaned children from poor backgrounds. Tatua Kenya is looking to having a fellow jointly with COGRI that would start a campaign that looks to create, strengthen and implement policies towards the care of orphaned and vulnerable children in Kenya from the bottom going up. Tatua and COGRI entered a consensus that we would hold a one day training to build relationships with the alumni who would be potential candidates to the 2 year fellowship. Tatua is excited to start this partnership with COGRI from the overwhelming expression of interest to join the fellowship from the participants of this training. We are now on course to open the application process for the candidates in a few weeks. Over the weekend on Friday and Saturday, May 17-18, 2013. 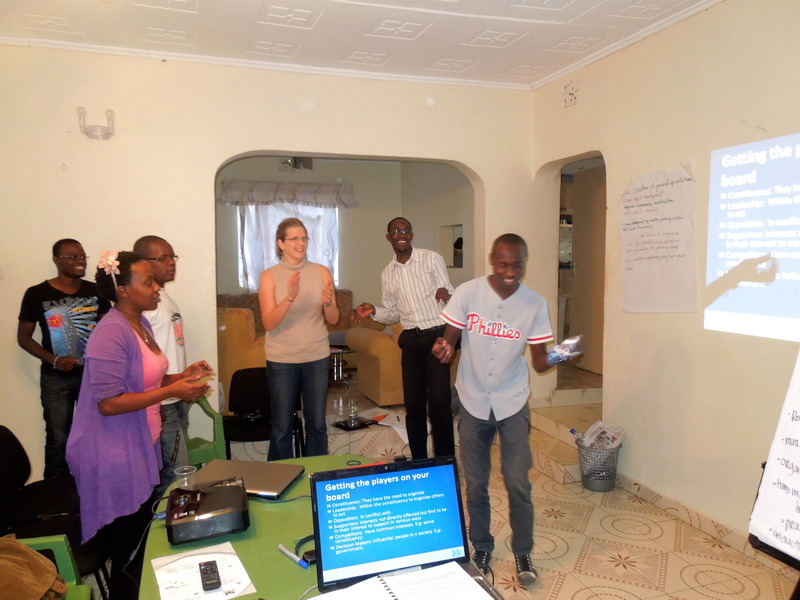 Tatua Kenya hosted their first training for trainers. 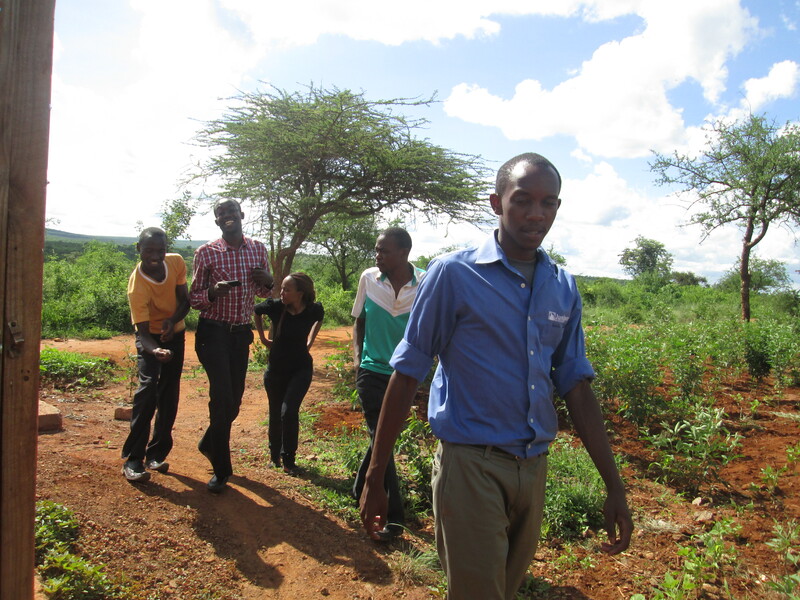 All five of our organizers and about 8 more young leaders in Kenya attended the event. It was an exciting time to come together and learn and celebrate the way Tatua has grown over the past two years. It was impossible to walk away from the training without feeling inspired and encouraged by what is happening in this country. If you want to see more photos from the training click here! Out in a place called Kitui there is a village that is completely self-sustainable catering to orphans and elders living with or affected by HIV. It is called Nyumbani Village. Our community organizers took a trip out there to explore and research their method. The village opened in 2006 and designed to hold 1,000 orphans and 100 grandparents in 100 homes. It was a great opportunity for our organizers to see a community working together towards one goal and to see how they accomplish it everyday. Plus it got them outside of what they see everyday. They had a great time meeting new people and getting to know each other even better. Here is what James and Tony had to say about that trip. Check out pictures from their trip here! 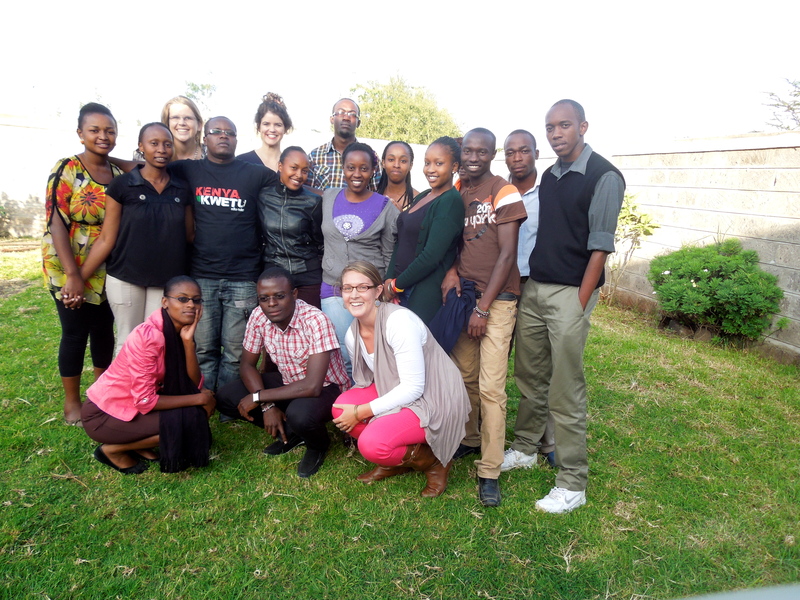 On April 16th 34 people gathered together from Matasia, Ngong and Bulbul to discuss the issue of child poverty. Jacob and Rose have a great team of volunteers that showed up to clean and prepare the room. They also worked the registration table. The discussion was vibrant with two government officials in attendance. Lucas, on of the aforementioned government officials, described the event as eye-opening. Florence, a church leader, talked about the failure to tackle poverty as an issue of the mind. The event was a success for the community. The plan is to hold another discussion in a week on May 2, 2013 in Ngong. James Muosi, community leader in Bulbul, is calling the community to join their hands together in tackling child poverty because he believes it is the only way a sustainable solution can be achieved. Rose and Jacob agree. Click here to see pictures from the forum! Make it easy to follow Tatua! Enter your email address to receive notifications of Tatua's blog posts over email.